Are you going to the One World Observatory? 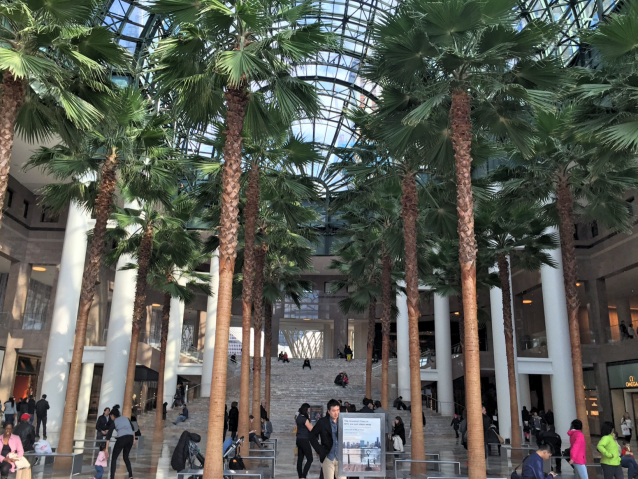 Then be sure to check out Brookfield Place. What a great place. Apart from the breathtaking views on the Hudson, the Oculus and the One World Observatory there's some great shopping to be done here. Michael Kors, Diane von Furstenburg, Hermès, Saks Fifth Avenue, Lululemon to name a few. 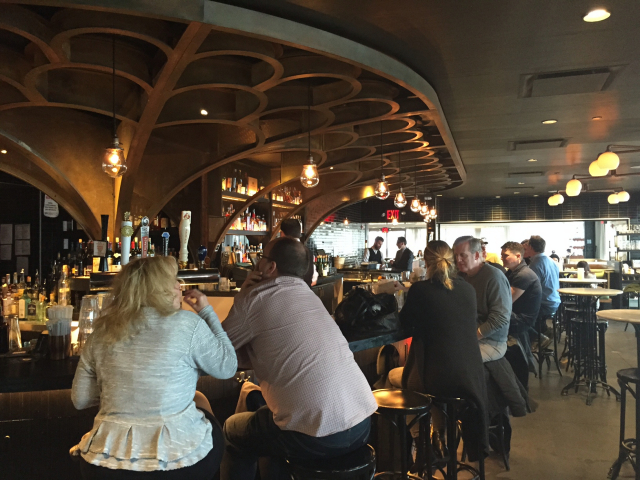 Brookfield Place is also the perfect place to grab a drink and bite. There's something for everyone at Hudson Eats. 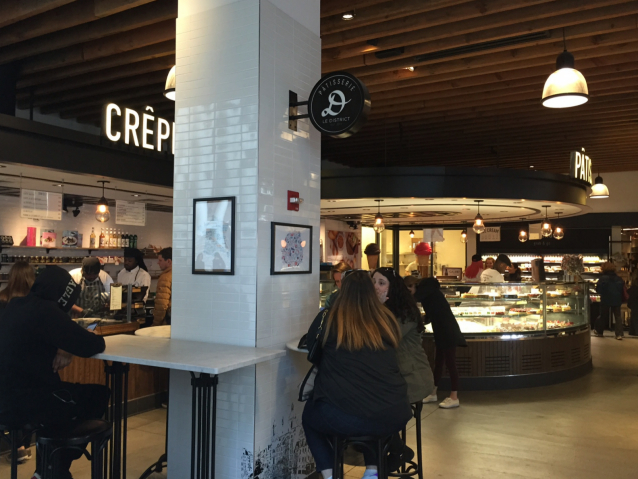 Like Black Seed Bagel, Blue Ribbon sushi, Unami Burger, Sprinkles cupcakes, superhealthy stuff at Dig In Seasonal Market or check in at Little Muenster for a grilled cheese sandwich. But whatever you decide, be sure to also check out Le District! 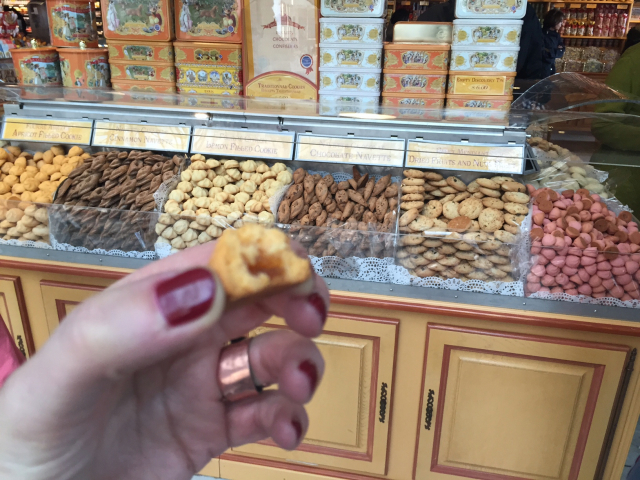 The French version of Eataly. Tres, tres bien! Here you can get your daily groceries or have your food prepared on site. There's plenty to choose from (meat, fish) which is prepared while you're sitting at the bar. Appartment style. And a la carte style dining in Beaubourg gives you a view on the Hudson. Brookfield Place. 230 Vesey Street. Downtown. Across from One World Observatory, on the Hudson. Close to Battery Park. Do check! Find more info on the shops, restaurants and events here. Note to self for the next trip: sign up for the inhouse yoga class at the Lululemon shop!